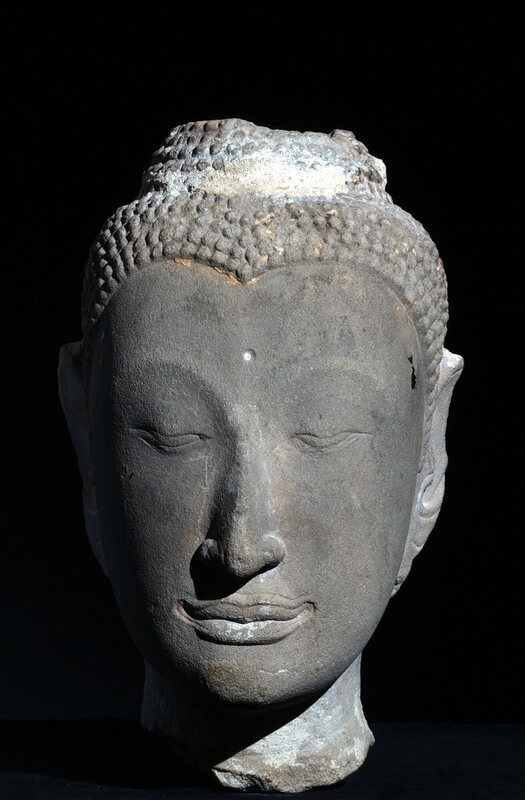 This stone head from Thailand, dating from between the 16th and 17th centuries, will be on display for the first time in the “Tai Cultures” exhibition. While NIU has been coordinating logistics and protocol with the Royal Thai Embassy for the Wednesday, Sept. 18, visit by Her Royal Highness Princess Maha Chakri Sirindhorn, art historian Catherine Raymond has been curating an exhibition of Tai art and artifacts from three NIU collections in honor of the occasion. The exhibition, “Tai Cultures at Northern Illinois University,” will be on display Wednesday in Room 203 of Altgeld Hall for Her Royal Highness to view before proceeding to the auditorium, where she will receive an honorary Doctor of Humane Letters degree in a special ceremony. Objects and artifacts from the Anthropology Museum, the Burma Art Collection and Founders Memorial Library’s Donn V. Hart Southeast Asia Collection will transform Room 203 into a unique art space. “The exhibition focuses on hidden Thai treasures at NIU and the interest of the princess and the royal family in Tai cultures,” Raymond said, noting that “Tai” refers to those peoples in and around Thailand who share a common linguistic background in Tai languages. The exhibition will include textiles, Buddha images, Khon performance masks, gilded lacquer boxes, manuscripts in Tai scripts, antique maps of Asia featuring Thailand and handicrafts from various Tai cultures, the preservation of which has long been a focus of the royal family’s charitable endeavors, Raymond said. Some of the Thai pieces from the Burma Art Collection have never been on display before, Raymond said. 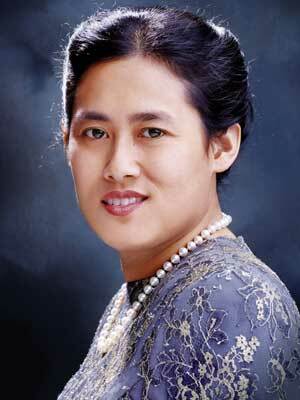 Her Royal Highness’s visit to NIU is the first by a member of the Thai royal family, and only the second campus visit by a royal personage in NIU’s history. The Sept. 18 ceremony will begin at 9:40 a.m. with a processional that will include Her Royal Highness and other dignitaries from Thailand. After the ceremony, the public is invited to view the exhibition, which will be on display until 5 p.m. the day of the ceremony and from 9 a.m. to noon Thursday, Sept. 19. A selected version of the “Tai Cultures” exhibition will be on display again for two weeks in October in the Holmes Student Center’s Gallery Lounge. It will open Friday, Oct. 18, as part of the Council on Thai Studies conference scheduled that day and Saturday, Oct. 19. It will remain on display through Thursday, Oct. 31.